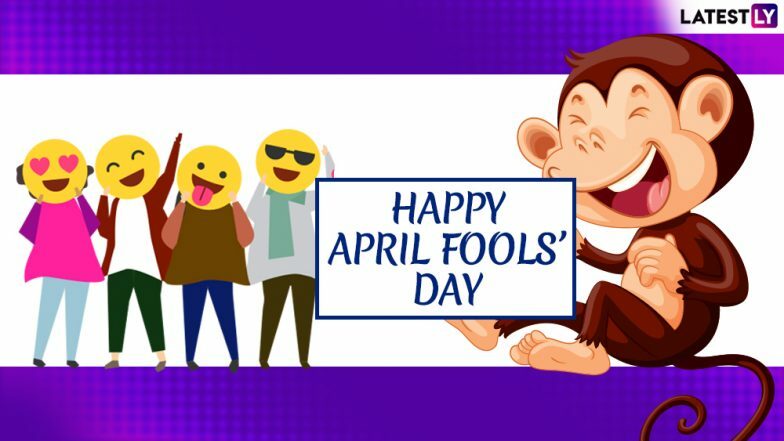 April Fools' Day 2019 is here and people are quite excitedly planning pranks on their friends and colleagues. 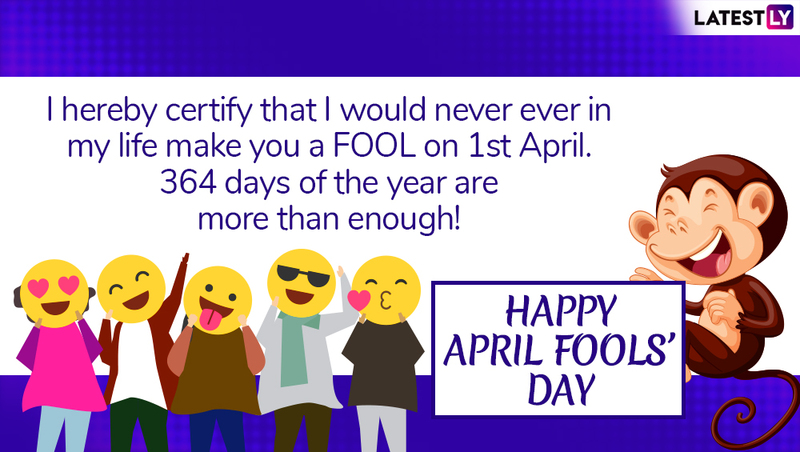 People send each other April Fools' Day prank messages, wishes, WhatsApp Sticker, GIFs and image greetings, reminding others that the day is meant for them. Considering this year April 1st falls on a Monday, we would advise you to be cautious as pranksters would have enough time during the weekend to come up with the 'worst' practical jokes, tricks and pranks. It could be anything from a hoax, WhatsApp message or a situation you were not expecting. And if you are planning to send some of the best funny messages with pranks to your friends and family, then we have got you covered. From the time you wake up to when you go back to bed, you will have to be extremely careful to ensure you don't become a victim of a silly April Fools' joke. Instead, send these April Fools' Day photos, quotes and SMS wishing people on the first date of the April month. Some corporates and companies try to engage with their consumers and customers on this day as marketing strategy. This year Kingfisher Bear and McDonald's tried to prank the users. Many-a-times, magazines, newspaper and news websites observe the day by publishing fake stories only to fool their readers. It comes with a disclaimer informing people that the news is not true. Best April Fools' Day 2019 Pranks: Unique and New Ideas to Trick Your Friends, Family or Colleagues on April 1. Message reads: You are a gorgeous, amazing, intelligent talented, caring and an understanding person. Smiling? Well, Happy April Fool's Day! Message reads: Fact 1: You cannot touch your lower lip with your tongue. Fact 2: After reading this, 99/100 fools would try it. Message reads: If people talk about your beauty, your power, your wisdom or your smartness, then just give them a tight slap…How dare they FOOL you! Message reads: What? Don't want to see the fool on April Fools' day? Hah! Just cover all mirrors at home? Message reads: Hey mom, I think I may be flunking out of college. I was too nervous to tell you in person, so I figured I’d tell you in a message. Oh, and by the way, April Fools! April Fools' Day is observed annually in most countries on April 1. The day has various stories of origin attached to it. It also has historical references citing how April Fools Day came into existence. Some speculate it to have begun in 1582 when France switched from the Julian calendar to the Gregorian one. April Fools’ Day 2019 Memes: These Lit April 1st Jokes Will Make Your Day If You Love to Prank People. According to the theory, a section of people refused to follow the calendar sticking to the older version which sees considers April 1st as the beginning of a New Year. Those who did not follow it were considered fools and as they observed it on April 1, it eventually came to be known as April Fools' Day. And today the day continues to be celebrated as April Fools' Day across countries. We hope you don't get terribly pranked on April Fools' Day 2019, while a little joke wouldn't harm anyone!